Traverse the full distance between the Indian and Pacific Oceans, from Sydney to Perth, in a 2,700-mile odyssey. One of the world’s great long-distance trains. illuminating the colorful, quirky history, cultures and countryside of Australia as it goes. Stephen & Jess document their trip on the Indian-Pacific. 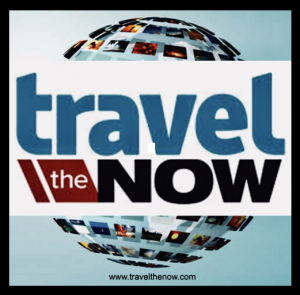 We will be featuring similar video accounts on our Travel The Now blogs. This young couple is the equivalent of yesterday’s newspaper Travel Section with on the spot vlogger travel reviews. 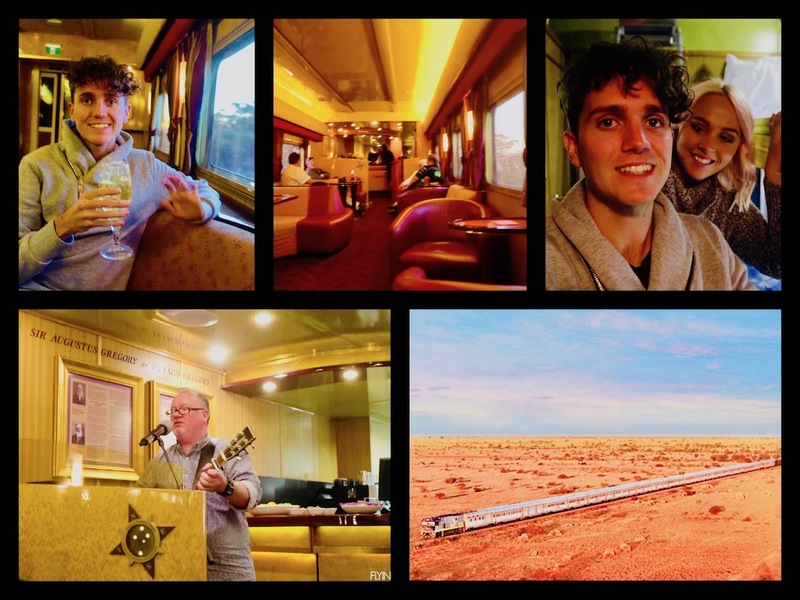 Flying the Nest’s Stephen and Jess on board the Indian Pacific. Visit their website at www.flyingthenest.tv if you would like to see more from Flying The Nest. The Indian Pacific is run by Great Southern Rail (greatsouthernrail.com.au). Trips are between Sydney and Perth with an option to do part of the journey to or from Adelaide. There are two classes of cabins or compartments: Gold (standard and larger) and Platinum (double beds; enhanced dining). Fares for Sydney to Perth start at AUS$2,899 (£1,710) per person (two sharing), with discounted fares out of peak season. Best times to travel are spring and autumn (Sept-Oct; Feb-May). The Venice Simplon-Orient-Express it is not. “Shorts and flip-flops are fine for lunch,” we were told. Bring something warm for the cooler times of the year. 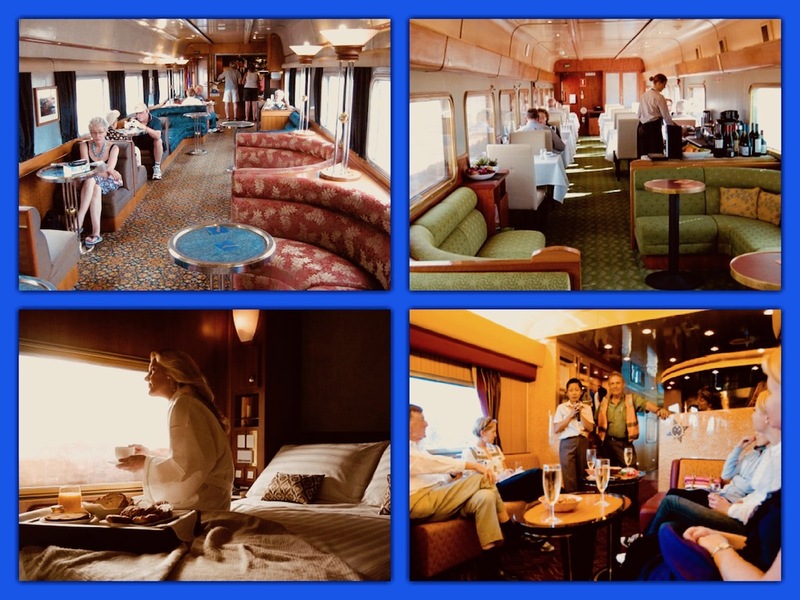 Off-train experiences include, for passengers on the Perth-Sydney route, in Broken Hill, The Main Drag, a show staged by local drag queens in the Palace Hotel – used in the filming of The Adventures of Priscilla, Queen of the Desert. In Adelaide, there’s a tour of the Oval. Quirky facts: average train speed is 53mph; average train length is 2,539ft (774m); the Indian Pacific’s inaugural run, after a uniform standard gauge track was completed, was on Feb 23, 1970. Another excellent video of the crew members on the Indian Pacific and The Ghan sharing their experiences of serving thousands of travelers who have taken these great trains. The heart of the Outback emerges in the Nullarbor Plain, offering a glimpse into the oldest continuing culture on earth. The ghost town of Silverton, where Mad Max was filmed, is a stark and alluring reminder of Australia’s frontier days. The three-day journey on Australia’s crown jewel of rail lines promises all that the country itself has to offer – vivid landscapes, exotic creatures, mystical destinations, and unforgettable characters. 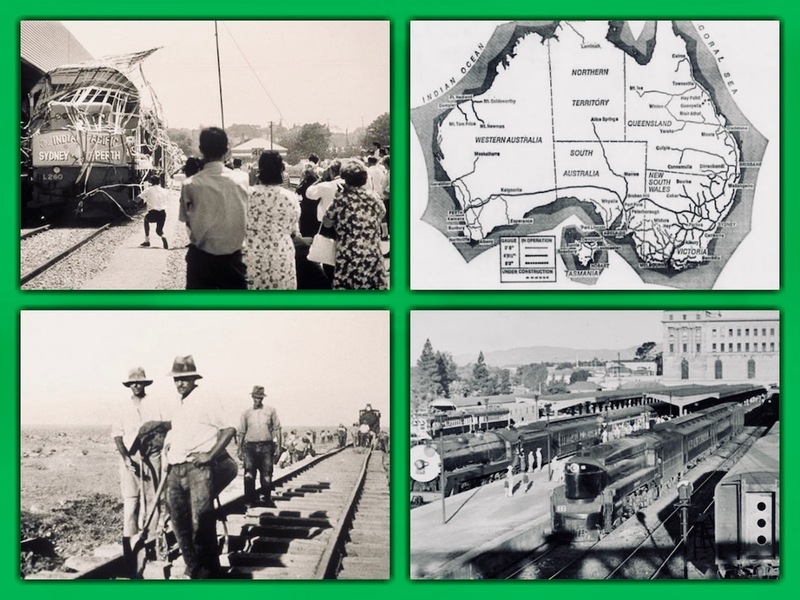 Early years and history of the Indian Pacific. It was not until 1969 that an uninterrupted rail link from the Indian Ocean in the west to the Pacific Ocean in the east existed. The newly-named Indian Pacific train embarked on its inaugural transcontinental journey on 23 February 1970, arriving in Perth to the crowd of more than 10,000 well-wishers. 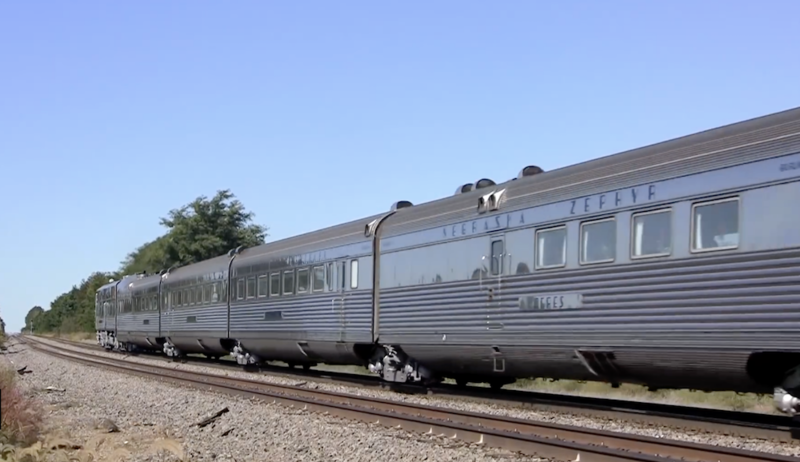 Australian railways carried on the tradition of stainless carriages or cars that are very reminiscent of mid-century USA streamliner trains in the 1950s. The diversity of the Australian landscape that can be viewed on this remarkable 4,352-kilometer transcontinental journey and the wonderful hospitality afforded to guests aboard the train, makes the Indian Pacific one of the world’s greatest train journeys. Previous: TSS Awatea – 1930s crossing between Australia and New Zealand. Next: Throwback Thanksgiving Thursday: When flying was fun in economy class and not a nightmare.